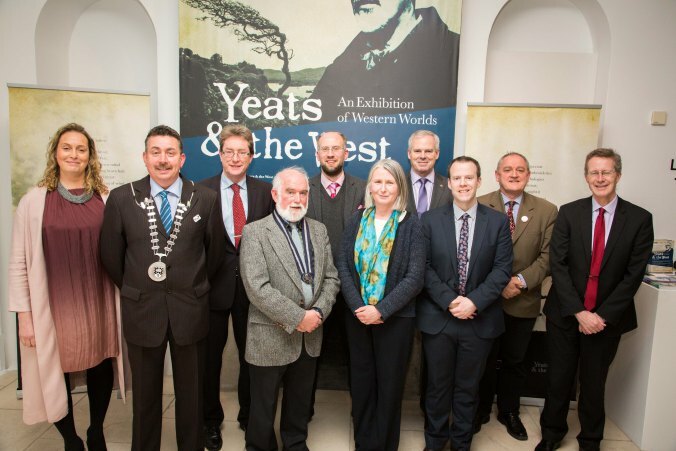 NUI Galway has received a significant donation of books about the Williamite War (1689-91) in Ireland and its aftermath from Colman Morrissey, son of a graduate of the University. Over a period of 45 years Colman assembled the collection of over 200 Volumes containing all the known contemporary accounts of the war. For example the collection includes a copy (one of only 200) of John T Gilbert’s 1892 edition of the early eighteenth century manuscript ‘The Light to the Blind’. A highlight of the collection is a List of Claims printed in 1701 of the Court held in Chichester House (now the Bank of Ireland on College Green) Dublin where lands confiscated from the Irish Catholic losers and granted to the winners. This massive tome contains details of the former owners and the actual judgements on the claims written in by hand and so is a unique record of the land confiscations and transfers. Other highlights include: the first biography of William of Orange/William III in 1703 in original binding; the first biography of King James II by J S Clarke published in 1816 also in original binding; the English 1759 translation of the Memoirs of the Duke of Berwick (natural son of James and a celebrated general in French service); a signed copy of William King’s influential State of the Protestants in Ireland… published in 1691; and its refutation by Charles Leslie in 1692. A framed copy of the 1688 Proclamation by Richard Talbot, Duke of Tyrconnell, proscribing persons in the province of Ulster and the town of Sligo as traitors is also included. In addition there are copies of most of the publications by subsequent authors, including definitive Army Lists of the Jacobite Army, together with numerous shorter contemporary manuscripts describing parts of the conflict in various regions of the country, both North and South. In addition, the collection contains most of the publications from the 20th century dealing with the conflict including some rare items. Most items are in their original bindings and where repairs or rebindings have been necessary they have been carried out in a most professional manner. 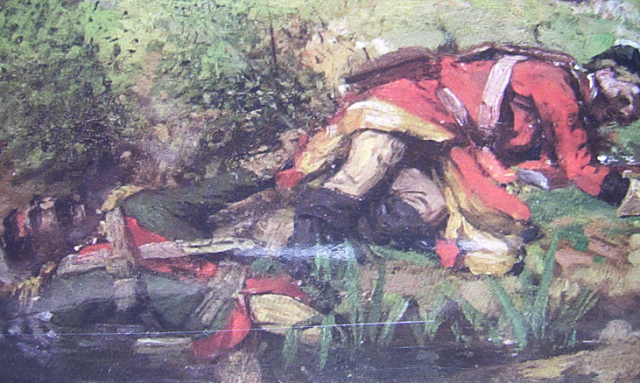 Colman’s fascination with the Jacobite War was inspired by a boyhood visit to the Aughrim battle site. He was brought by his father, a friend of Martin Joyce, the local schoolmaster and guardian of the memory of Aughrim. This passion was subsequently reawakened by Richard Murphy’s 1965 epic poem on the Battle of Aughrim. The decision to donate the collection to NUIGalway in memory of the donor’s father, Joseph H. Morrissey, was taken because the Battle of Aughrim, the bloodiest and most decisive battle in Irish history, was fought in Connacht and because the donor’s father was a graduate of NUI Galway, or UCG as it was known then, where he attained a B.A. degree (with Martin Joyce) in 1935. Dr Jim Browne, President of NUI Galway, said: “This is a most generous donation by Colman Morrissey, representing a lifetime of collecting, and we are delighted to honour the memory of his father in receiving it. The collection will be of great value to researchers now and in the future”. The Morrissey Collection will be included in the Special Collections of the Library and located in the Hardiman Research Building. NUI Galway to Digitise the Archive of Gate Theatre, Dublin. NUI Galway and the Gate Theatre, Dublin are joining forces to digitise the Gate’s archive, a major resource for theatre scholars and artists. When completed in 2018, the Gate Theatre Digital Archive will be exclusively available at NUI Galway’s James Hardiman Library, where users will be able to access hundreds of videos, scripts, show programmes, and many more treasures from the Gate’s history. Founded in 1928 by Hilton Edwards and Micheál MacLiammóir, the Gate Theatre has played a leading role in the production of Irish and international theatre, launching the careers of such actors as Orson Welles and Michael Gambon, staging the premieres of major plays like Brian Friel’s Philadelphia Here I Come! and presenting major international festivals dedicated to the Nobel laureates Samuel Beckett and Harold Pinter – among many other major achievements. 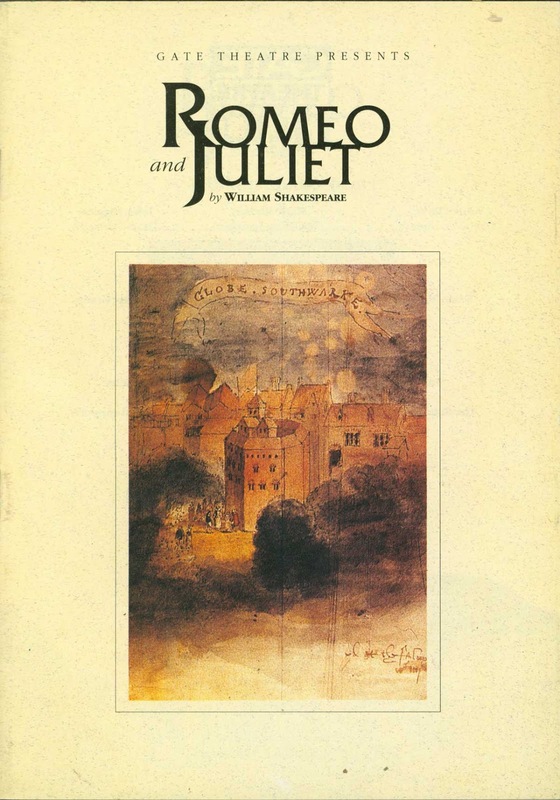 The Gate Theatre’s archive is drawn mainly from the years since 1980, and includes information about many of the Gate’s major national and international successes during that period. 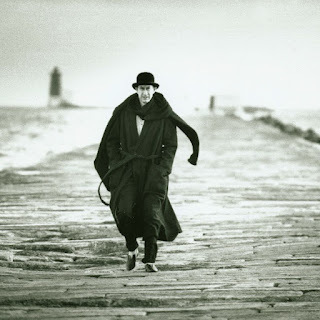 The Gate has a long tradition of working with some of the world’s great actors; the archive features material relating to Orson Welles, Michael Gambon, John Hurt, Penelope Wilton, Stephen Rea, Ian Holm, Liam Neeson, Charles Dance, and many others. As a multimedia archive, this resource demonstrates the Gate’s enormous contribution not only to the art of playwriting but also to acting, design, direction and production. 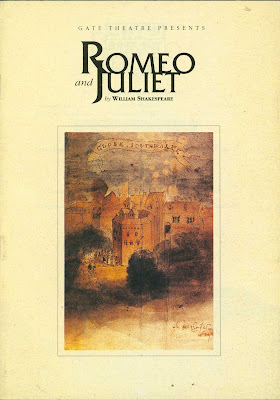 NUI Galway is the home to numerous Irish theatre archives, all of which are stored in custom-built facilities at the University’s James Hardiman Library. These include the archives of Druid Theatre, the Lyric Players Theatre, Thomas Kilroy, John Arden and Margaretta D’Arcy and Siobhán McKenna, as well as online access to the Abbey Theatre Digital Archive. These resources make available almost 1,000 videos of Irish theatre productions since the 1980s and thousands of scripts, photographs and other files. Archival material from prior to that period is currently stored at Northwestern University, Illinois. To mark this exciting project with the Gate, NUI Galway is announcing the establishment of a new MA in Irish Theatre History and Archives. Students on this course will have full access to resources like the Gate Theatre Digital Archive, and will get hands-on training in the use of theatre archives, including internships. 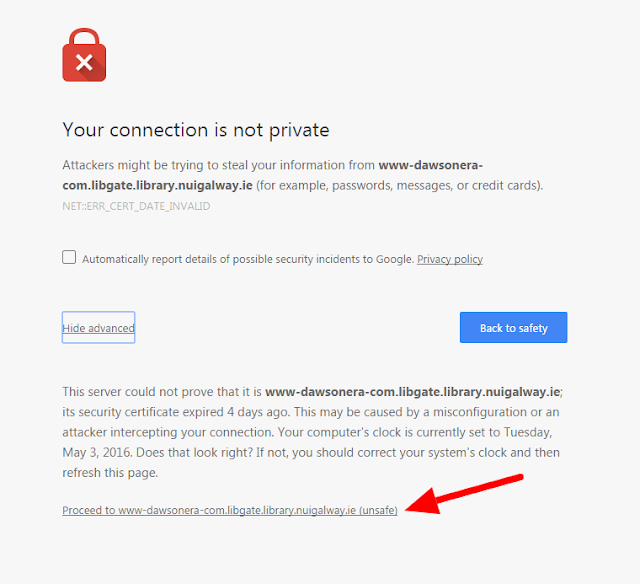 There is currently an issue with the Library site certificate. Users will receive a certificate/security error on logging into the Library site. In this instance, it is safe to click into the site using the Continue to site or Access this site option. We will hope to have the issue resolved ASAP. If you have any further enquiries about this issue, please contact servicedesk@nuigalway.ie. In the little cemetery attached to the Dominican Convent at Taylor’s Hill, a black cross standing under the shade of an elm tree indicates the remains of Mother Bernard Heuston, O.P. Bernard (christened Mary), was the older sister of Seán Heuston, one of the executed leaders of the Easter Rising. Mary was born in Dublin in 1889; she entered the enclosed Dominican Monastery at Galway in 1914, where she made her religious profession at the age of 26 in 1915. She died April 21, 1960. Before entering the religious life, Mary was trained as a teacher in King Inns Street near Dominick Street where the family then lived. The Heustons later moved to nearby 20 Fontenoy Street. As an enclosed nun, Sr. Mary’s receiving the news of her younger brother’s execution, naturally may have been accentuated by a sense of helplessness and frustration at not being able to attend his funeral. 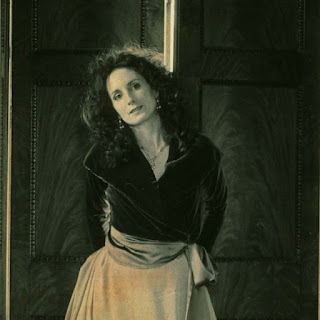 Her community noted at the time however, that she accepted the tragedy of the cross she bore with quiet dignity and resignation; never referring to the matter of her famous brother’s death. The Dominican friars at Dominic Street (Dublin) evidently played a significant role in the upbringing of the Heuston household, particularly after the departure of their father to England. Mrs. Maria Heuston and all of her offspring were third order (tertiary) Dominicans. Indeed, Mrs. Heuston had wished that her son Jack (Seán) might be buried in the Dominican habit on hearing word of his ensuing execution. The young revolutionary however, insisted on being interred in his own military garb. at the Domincan Convent, Taylor's Hill, Galway. 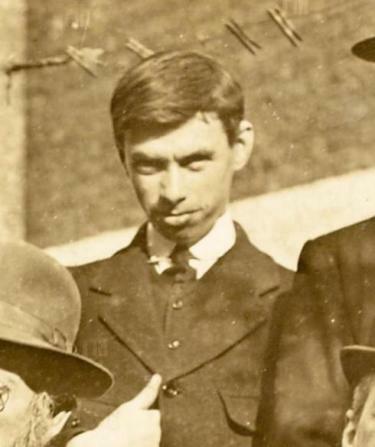 After the passing of execution on Captain Seán Heuston (who was in charge of the D Company that seized the Mendicity Institution during the Easter Rising); he sent word to Tallaght, where his brother Michael (later Fr. John Dominic, O.P.,) was then a Dominican novice, that he wished to see him before his death. Accompanying the young friar on his visit to Kilmainham Prison was Fr. Michael Browne, O.P., (later Master General of the worldwide Dominican Order, and brother of Monsignor Pádraig de Brún, later President of U.C.G from 1945-59). Michael Browne O.P.’s letter to Sr. Bernard in Galway, dated May 12, 1916, expressed apologies for the tardiness of its sending caused by ‘the wrenches my feelings got on Sunday night’. Browne also relates in the same letter that ‘during these last few days’, there was special attention given to her brother (Br. John Dominic Heuston, O.P.,), and that ‘as long as I live he [Seán] will have a memento in my prayers and in my Masses’. The ‘Sunday night’ referred to by Browne was May 7 of 1916, the night before Seán Heuston’s execution. On the same day, Heuston wrote his last letter to his sister in Galway. The rebel pleaded with his eldest sibling to ‘teach the children the History of their own land and to teach them [that] the cause of Caitlín Ní hUallacháin never dies.’ In the same letter, the condemned revolutionary also expressed his concern for their mother, who was by then financially dependent on him, ‘Poor mother will miss me, but I feel, with God’s help, she will manage. You know the Irish proverb’ he continues, ‘God’s help is nearer than the door’. 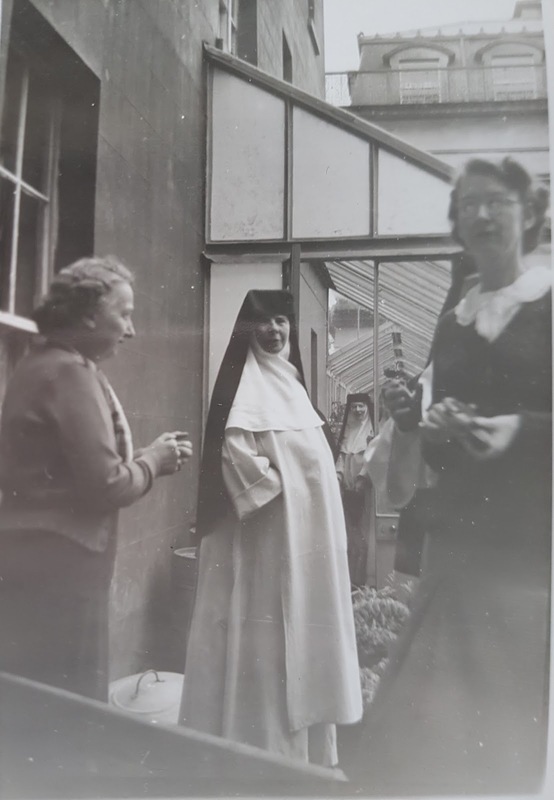 After the events of 1916, Sr. Heuston went on to hold many offices of responsibility within the Galway Dominican community, including: principal at the Dominican Secondary School; novice mistress; archivist and prioress (hence Mother). 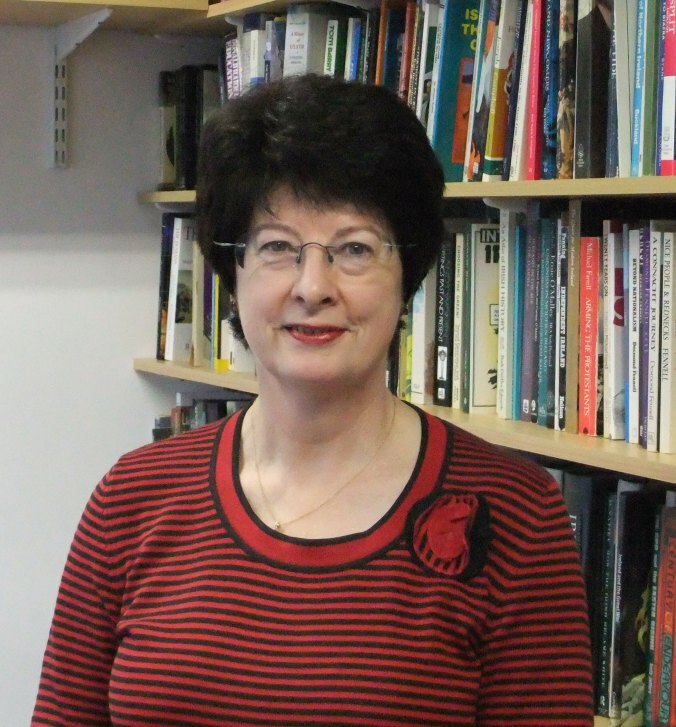 She taught Latin, English, religion and history as subjects at the Dominican College. She also ran the Aquinas Study circle at Taylor’s Hill which included U.C.G sociology lecturer Dr. John Howley, as one of its members. Mary Donovan O'Sullivan, Professor of History at U.C.G., from 1914 to the 1950s, was a prominent past-pupil of Taylor's Hill, though her politics as a Home Ruler and advocate of enlistment in the First World War would have been quite different from that of Seán Heuston who died as a republican martyr in 1916. The present author, a Dominican sister, knew and was taught by both Mother Bernard Heuston and Mary Donovan O'Sullivan, each of whom, in their own ways, were women of their times. By T.P.L., graduate of the school of history at U.C.G., and former pupil of both Mother Bernard at the Dominican College at Taylor’s Hill and Prof. Donavan O’Sullivan at U.C.G. The Exhibition "A University in War and Revolution - The Galway Experience 1913-1919 is open daily at the Hardiman Research Building, NUI Galway and admission is free. Update Fri May 6th : access to all ebooks has been fully restored. Thanks for your patience, and apologies for the incovenience. We are currently having some issues with one of our servers. This means that instead of accessing content on the DawsonEra e-books site directly, we are getting warning screens about accessing the site. We are working on the issue as a high priority. In the meantime users can still access Dawson content via the following screenshot. Please use Chrome for best results (and click 'Advanced' to see the option to proceed to the site). Microfiche Area - located on the ground floor of the Main Library. Take a right at Library/IT Service Desk and then left. Today, the third of May 2016, marks one hundred years to the day of the first executions of the leaders of the 1916 Rising. The executions were carried out at the Stonebreaker's Yard of Kilmainham Jail. On May 2nd 1916, the first courts martial sentenced Padraig Pearse, Thomas Clarke and Thomas MacDonagh to death. Pearse, a founding leader of the Volunteers, Commander-and-Chief of the rebel forces and stationed at the G.P.O. on O'Connell Street at the height of the conflict, along with fellow signatories of the Proclamation, Thomas Clarke and Thomas McDonagh, were executed by firing squad. Between the third of May and the twelfth of May 1916, fifteen leaders of the Rising would be executed. Among the fifteen were others such as Willie Pearse, brother of Padraig. Though not considered a senior leader or instigator of the Rising, Willie Pearse was also executed by firing squad, largely because he was Padraig's brother, on the fourth of May. 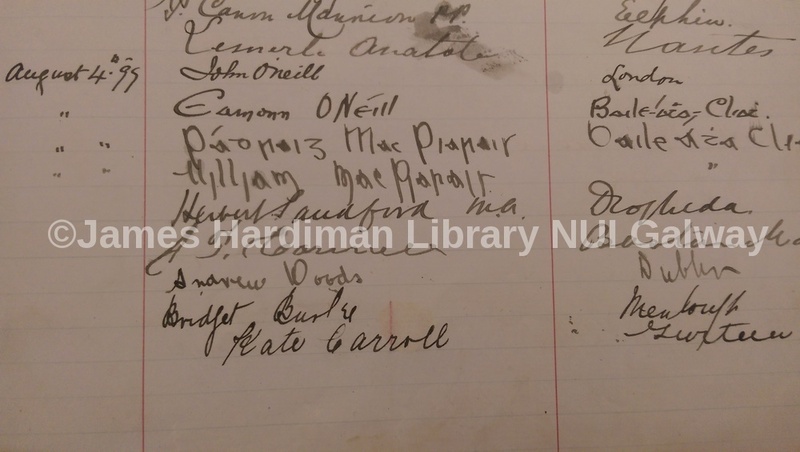 As part of A University in War and Revolution: 1913-191 The Galway Experience currently on at the Hardiman Research Building, NUI Galway, a central item on exhibit is the University Visitor Book for Queen's College Galway (NUIG's former title). The visitor book records the signatures of both Pearse brothers, which they sign in Irish, Padraig agus William MacPiarais. The visit by both Pearse brothers to the University campus in Galway in August 1899 is a truly unique moment in the University’s history. The presence of both signatures, when Padraig and William were nineteen and twenty years of age respectively, offers an illuminating insight into the exhibition, which tells the story of the University's impact and influence in major events of the time, such as the role of college students and academic staff in both the Rising and the War effort in Europe at the time; women in revolution; the place of the Irish language and also the post-1916 political landscape of the West of Ireland as seen at the 1918 election. The exhibition is open to all and entry is free.